Rabbi Jonathan Sacks presents a proposal for reframing the terms of this important debate. The first major statement by a Jewish leader on the ethics of globalization, it introduces a new paradigm into the search for co-existence. 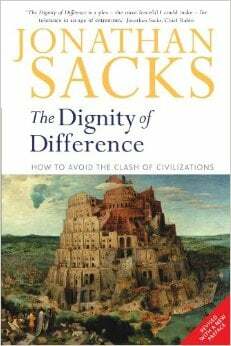 Sacks argues that we must do more than search for common human values. We must also learn to make space for difference, even and especially at the heart of the monotheistic imagination. The global future will call for something stronger than earlier doctrines of toleration or pluralism. It needs a new understanding that the unity of the Creator is expressed in the diversity of creation. ;Sacks argues that this new thinking also sheds fresh light on the global challenges of an age of unprecedented change: economic inequality, environmental destruction, the connection between information technology and human dignity, and the structures of civil society.